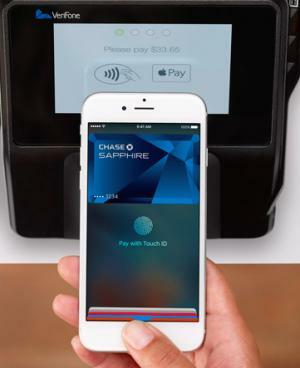 Analysis: Apple Pay U.S. Transactions Growing but Base ‘Very Small’; and Rivals Not Apparently Catching Up | NFC Times – Near Field Communication and all contactless technology. Apple said this week that Apple Pay accounts for three-quarters of contactless transactions in the U.S. Without many contactless banking cards to speak of, that means Apple is still dominant over other NFC wallets–though the estimate probably does not include Samsung Pay's MST transactions. NFC Times Exclusive Insight – Apple’s boast this week that its mobile payments service accounts for three out of four contactless payments in the U.S. says little about the number of contactless transactions it is recording stateside, but does indicate that Apple has maintained its lead over rival NFC-enabled wallets. Unlike other markets, such as the UK, Australia, Canada, Poland and Spain, there are few banking cards in circulation that support a contactless interface in the U.S. That means the vast majority of contactless transactions being conducted in the U.S. are coming from Apple Pay and to a lesser extent other NFC-enabled wallets–Android Pay, Samsung Pay and a bank wallet from top five credit card issuer Capital One. Article has about 1550 words.